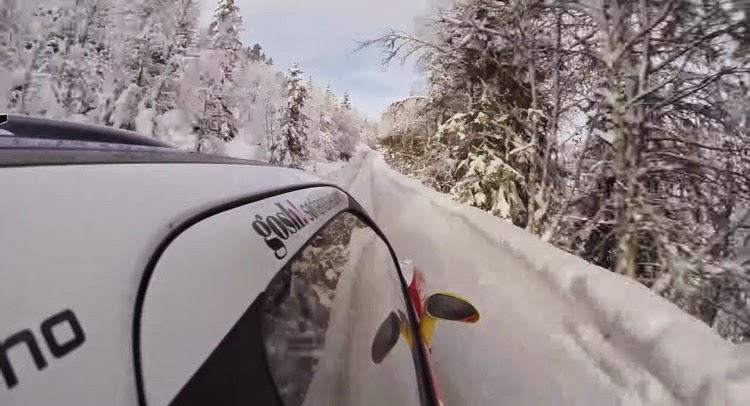 You have to be a certain type of crazy to thread a missile through a snowy rally stage between jagged rocks and massive trees. 30-year-old Norwegian rally driver Anders Grøndal is that kind of crazy. 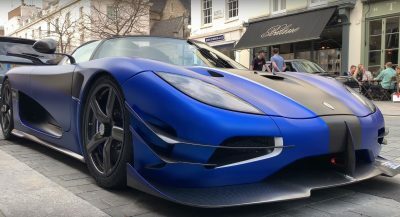 Formula 1 is often regarded as the pinnacle of racing and pushes the boundaries of physics more than any other type of motorsport. Meanwhile, little defines claustrophobia quite like 40 stock cars traveling four-wide around a NASCAR oval at 200+ mph. Somehow, Grøndal’s demonstration of car control while flat out in his turbocharged all-wheel-drive Citroen DS3 rally car is more staggering than both of the aforementioned combined! According to Grøndal, the snow stage drive that was filmed on a GoPro wasn’t even an all-out rally stage attack, but merely a test day to get the car properly set up for the tricky and slippery terrain. The Citroen DS3 test marks his official transition into WRC competition after winning the Norwegian Rally Championship for the tenth time. On the handling characteristics in the snow, Grøndal emphasized that the grip of the 8mm studded tires on pure ice offers remarkable grip, perhaps even more grip than dirt tires on gravel. Last but not least, commitment separates the good rally drivers from the greats more than anything else. Grøndal describes the quickest way around a snow rally stage involves a lot of rubbing against snow backs to help point the rally car in the right direction. Without further ado, watch this incredible ace do his thing in the video below.